​What's my relation with Imran Uddin? Apart from being a leading blogger from India, he is also my good friend too. He is from Hyderabad, and I'm from Kolkata. We never meet; still, we have a connection over telephone/WhatsApp/Facebook! 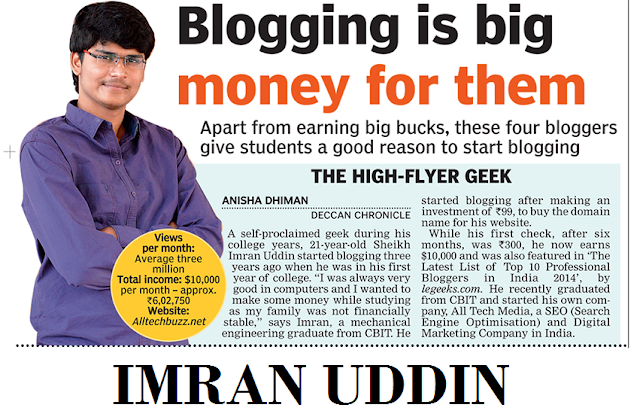 At the very beginning of my blogging journey, when it was entirely new world to me, Imran helped me at that time. Not only Imran but Rathore, Lasya and their entire team. To be honest, I am really grateful to them! I don't know how to show my gratitude to them, but they have an enormous contribution to my blogging career! When I started to work with him, his blog AllTechBuzz was only on SEO tips and tricks. Now he has added some more sections like ios, android, windows, mac, etc. I think he is busy also for doing other working apart from only content writing. Jitendra once took Imran's interview in 2014, and you can check this too. 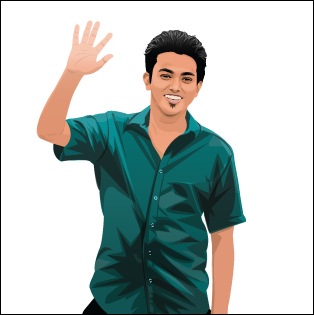 [Jitendra is also India's one of the leading bloggers]. 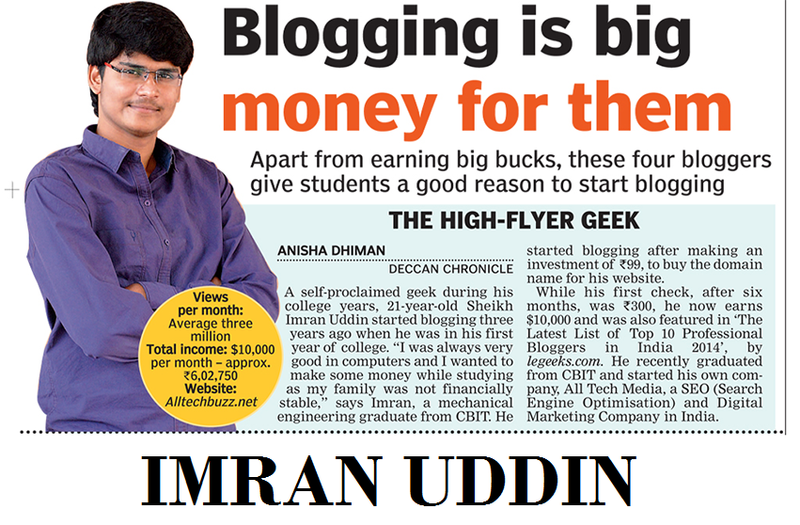 Gaurav Jaggi once arranged a webinar from his channel with Imran Uddin about blogging. It is about 2 hours long and very much interesting and informative as well. New bloggers who are willing to learn to blog, don't miss this webinar. I saw it live at that time and suddenly found it in google search result, check this video! Imran also has some other sites like AllIndiaRoundUp. Which is basically a news site. and Imran's main company site is https://www.alltechmedia.org. Just like we see, Google is under his parent site named Alphabet, same here, AllTechBuzz is under AllTechMedia. When Imran Uddin is the CEO and founder. his two friends Rishi Bharadwaj and Anurag Balagam are co-founders. Another interesting interview takes by rusty blogger. You can definitely take a look. If you check AllTechBuzz, you won't find any income report at least for last one year. When Imran has been asked about the matter, he said- we are rather focusing on our different products, income reports are not so much important to me! I don't think stop publishing income report can be a big issue. It depends on person to person. Patt Flynn publishes his every month's income report. Anyway, go ahead Imran. All the best wishes from me! I want to see you more and more successful. Well, no more today. If you have any doubt or question, feel free to contact me here. Just do drop a comment below. If you really like this post, then please do share it with your friends via social networks like Google Plus, Twitter, Facebook, LinkedIn, StumbleUpon, etc. if you want to get all the latest updates of this blog, you can like my Facebook page, follow on twitter or subscribe my blog feed. Take care. Have a nice day.